We want to protect access to our climbing areas, while improving and preserving them for the future. We want to know what is important to you. Please take our brief survey and give us some feedback. NM CRAG funds go to making our areas better through crag improvements and working with climbers and agencies. We want to do more and appreciate all your help. 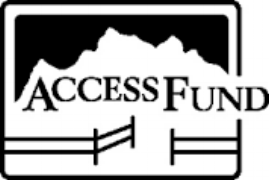 Please consider giving to NM CRAG by joining the Access Fund. 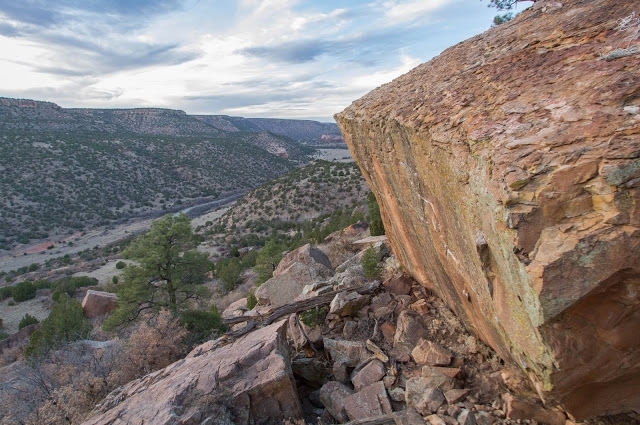 Click on the link below and select I would like to become a Joint Member with my participating Local Climbing Organization, then designate NM CRAG. Email us at nmcrag@gmail.com if you would like to stay involved and receive updates, or visit our Facebook page. As of early February 2019, the Forest Service (FS) has put up several "road closed" signs on the unimproved routes that go to Mesteño Canyon. These sections have been flagged to indicate where people have deviated from the prescribed route. Please do your best to stay on official routes as much as possible, even if that means staying in ruts. This is a tough season with frequently wet conditions, please limit the number of vehicles using these roads. The bouldering out in Roy has rapidly expanded in popularity and the FS is already paying close attention to our actions. With the help of the Access Fund, NMCRAG continues to discuss issues such as future restoration of these roads and the impact of human waste at the trailheads. Climbers need to do their very best in limiting our impacts and showcasing the best behaviors we can. If we continue to be good stewards of this area and support FS efforts, the better we can secure permanent access throughout Roy. Please consider carpooling and minimize back and forth trips from the campground. Leave no trace and if you're going to camp at the Jumbles trailhead then bring some wag bags and pack them out. Thanks for reading, the future of access in Roy is reliant on us showing the FS we can be good stewards of our climbing areas.